Omegaword: The Words Crawl In . . .
New words arrive in the language all the time, but not all survive long enough to become a new entry in the established dictionaries. Fortunately, there are places you can watch these new words writhe about, and occasionally even survive the incubation process. The Urban Dictionary is such a place. Self-defined as "a slang dictionary with your definitions," it's a breeding ground for new vocabulary that sometimes goes on to a life beyond the slang. Some of the words in this online dictionary are already familiar; you hear them in public and see them in print, or e-print. Although there's a voting process on this site that determines the relative rank of contributed definitions, some words have already become so ubiquitous that they're beyond the vote. 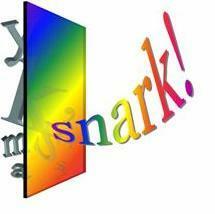 Snark has achieved a solid position in the language through widespread use, but unlike so many words that eventually slip into oblivion, it isn't just a popular slang expression for its own sake; it performs a beneficial service beyond mere coolness. A contraction of snide remark, the word has apparently—and fortunately—managed to bypass the awkward apostrophed-contraction stage and gone straight into adulthood. It's meaningful, it's utilitarian, and it's nice and short, too. The Urban Dictionary lists 191 votes for, and only eleven against the definition occupying the top spot in the list. Combination of "snide" and "remark". Sarcastic comment(s). Crunk may not be as widespread as snark, but it has its place nonetheless. 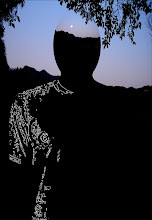 Also a contraction, the word pulls together two frequently related concepts: crazy, and drunk. Unlike words such as snark, this one inhabits the narrower spectrum of drinking-related terms; it's less likely to achieve universal acceptance for that reason alone. Still, it's an evocative term in its own right. I note in passing that the German speaker suffering with a hangover may find some irony in this word. The German word krank, which means sick, happens to be pronounced exactly the same as crunk. Carlocked probably won't catch on in any significant way, but I like it because it describes a situation so many of us are familiar with. Similar in meaning to landlocked but pertaining to automobiles, it has significance to anyone who's ever been boxed in by other vehicles in a parking lot, or during a traffic jam. I think carlocked is too much like "car locked" to ever really become a word in its own right, but it's fun just the same. Not every word or term that appears on the site reflects modern culture; some have been around for a very long time. Swanky makes an appearance, and although I'm not sure when egad was first used as an exclamation, it was already in circulation during the 1950s. Whoever posted it on the Urban Dictionary site rendered it as E-gad, but I'm guessing the original was used as a substitute for Oh God, certainly an inappropriate exclamation in many circles during the 1950s, and even today one that wouldn't go over well in most church-related settings. Just in case you're away from your computer, or if you just happen to like books for their own sake, there's a print version of the Urban Dictionary as well. Whether or not these examples—listed in the book advertisement on the Web site—ever truly become part of the language, it's fun to think about their origins and the changing world that spawned them. One final word from the dictionary that made me laugh: Lolrus. Defined as "a laughing walrus, usually high," it takes the edge off that infernal lol shorthand, replacing it with images of Beatles songs on vinyl records played in a cloud of incense. Goo goo g' joob, man!